A water filtration vacuum uses water as a cleansing agent. These vacuum cleaners use water in a tank as a pressure agent in removing dust and dirt from surfaces. Not only do they remove dirt, but also bacteria, germs and bad odors. Choosing a water filtration vacuum depends on the task you intend to accomplish. 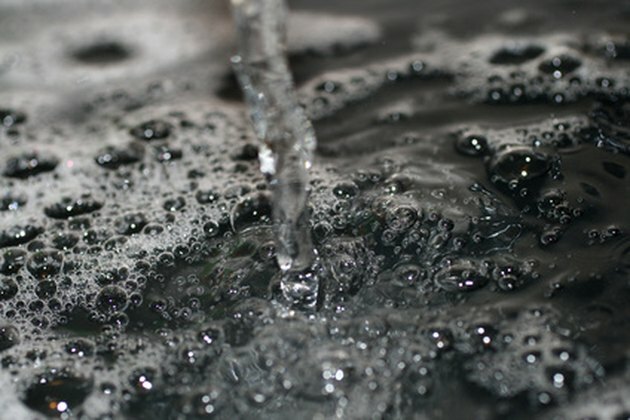 Water is used in water-filtration vacuums to remove dust and clean surfaces. The Aroma AV2001 uses HEPA filtration, which controls the dust that contributes to pollen allergies and asthma. This unit is ideal for cleaning tile, wood and laminate flooring. The Eureka Mighty Mite gives you cleaning power backed by a 12-amp motor. It gets easily into spaces where dirt may linger. There is an extra-long reach that allows you to remove dirt from any surface. As a true sealed systems vacuum, manufacturers say the Miele Ariel vacuum guarantees that what you vacuum will stay in the machine and not contaminate the air. Its manufacturers add that this machine ensures an efficient filtration system that keeps dust particles securely trapped inside. The H2O Vac, according to manufacturers, virtually eliminates dust from circulating back into the air by using advanced water filtration technology. This simple-to-use vacuum cleans your home and the air you breathe at the same time. You fill up the chamber with water, and you are ready to clean. This brand acts as a turbo suction dry vac, stain extractor and a wet vacuum. This powerful machine filters and traps dirt from bare floors and carpets, and it also takes up liquids. When you are done, you simply throw away the mess. The Hoover S3670 has a powered hand that can get under to reach dust and dirt on hard and carpeted floors. It has a HEPA filtration system and an electronic full bag indicator that lets you know when the bag is full. This machine has a water filtration system that replaces the need for dust bags. The four-stage air filtration has a systematic way in which it operates and captures virtually all dust, dirt, pollen, spores and dust mites. Euroflex manufacturers claim that this model can handle virtually any dirty duty. With its canister-style system, this vacuum uses a multistage water filtration technology that allows you to get any wet or dry task done. The Bissell 7700 vacuums, deep cleans and cleans hard floors. It features three-stage filtration. This bagless machine can clean tile, vinyl and laminate floors. This machine features a height adjustment bar that reaches dirt in places other machines leave behind. It has improved durability and keeps virtually all dirt and dust inside the chamber. It also releases clean air only.